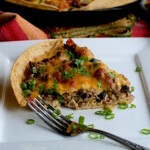 Tex-Mex Taco Pie - What the Forks for Dinner? 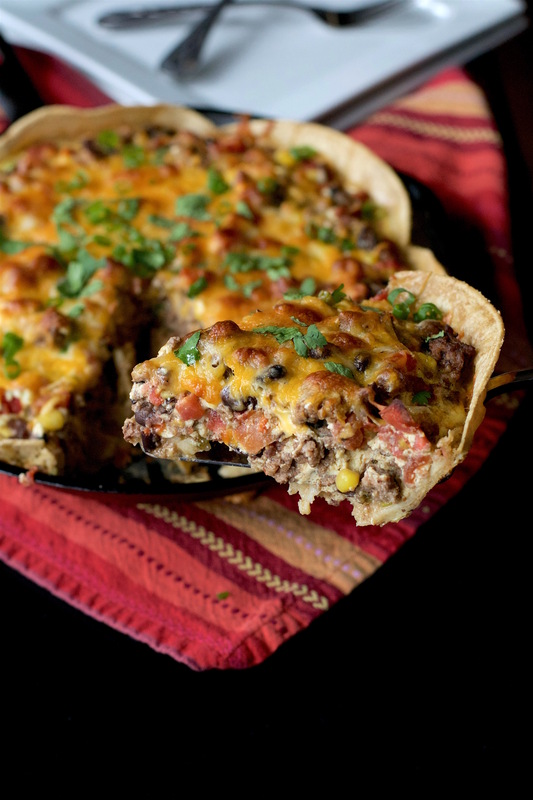 Tex-Mex at it’s best…….. Tex-Mex Taco Pie! I have been all about the easy and quick to fix lately……..along with a little bit of comfort in my food. Maybe it’s the long dreary days, I know the days are really shorter, but when its gray and gloomy……they seem long. The lazy may be that all I really want to do, is watch “The Good Wife”………Tim and I have been power watching it lately. We hooked up with Hulu ….great idea……just saying. For just a few bucks a month you can watch full seasons of TV shows. There is even an option for no commericals…….I know cool right? If you haven’t seen “The Good Wife” ,you don’t know what you are missing……awesome show! 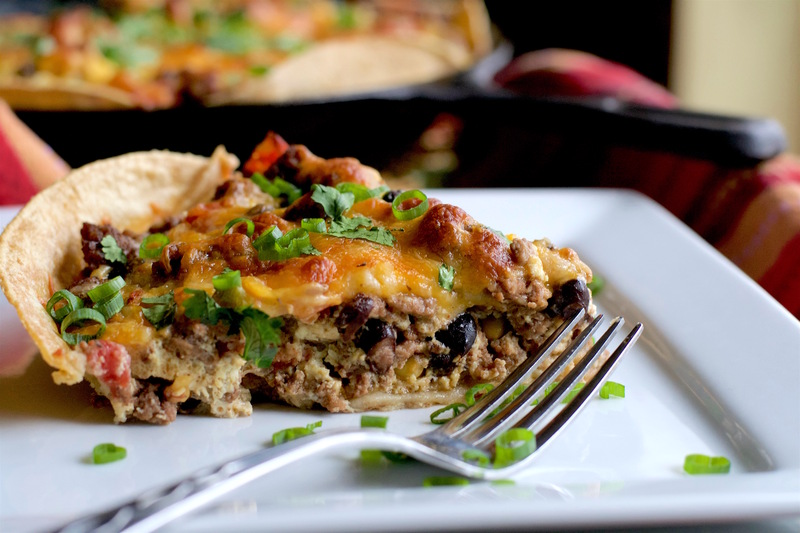 So, in an effort to have yummy comfort food in a hurry……..Tex-Mex Taco Pie! It’s kinda like a casserole, kinda like a quiche, and a whole lot of Tex-Mex flavor. So what is Tex-Mex? It turns out that most “Mexican” food North of the Border is actually Tex-Mex. The differences between Mexican and Tex-Mex food are the use of a few ingredients found in the US that are rarely used anywhere South of the Rio Grande. 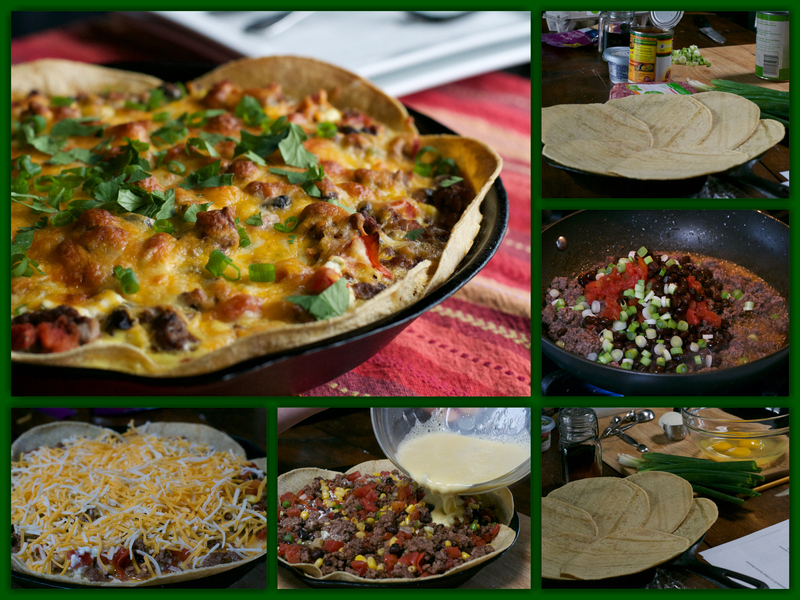 Beef, yellow cheese, wheat flour, black beans, canned vegetables (especially tomatoes), and cumin. 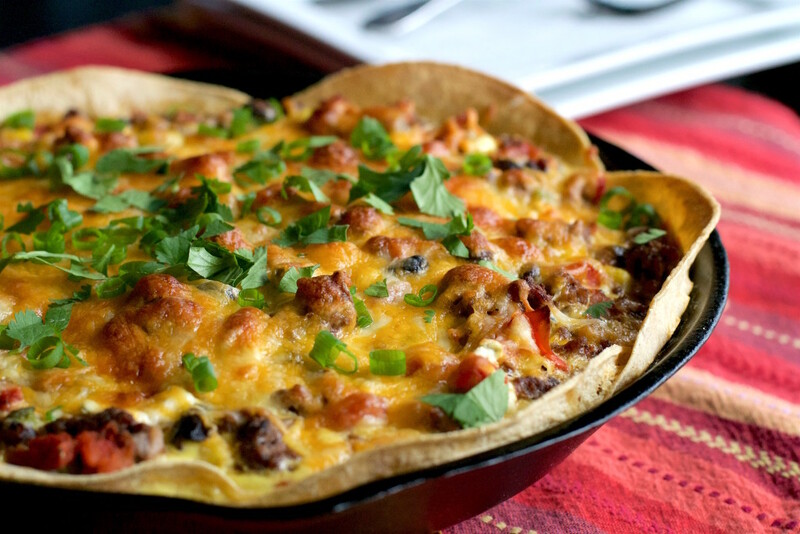 So chances are that most of the ‘Mexican Food’ you eat is probably Tex-Mex…..who knew? 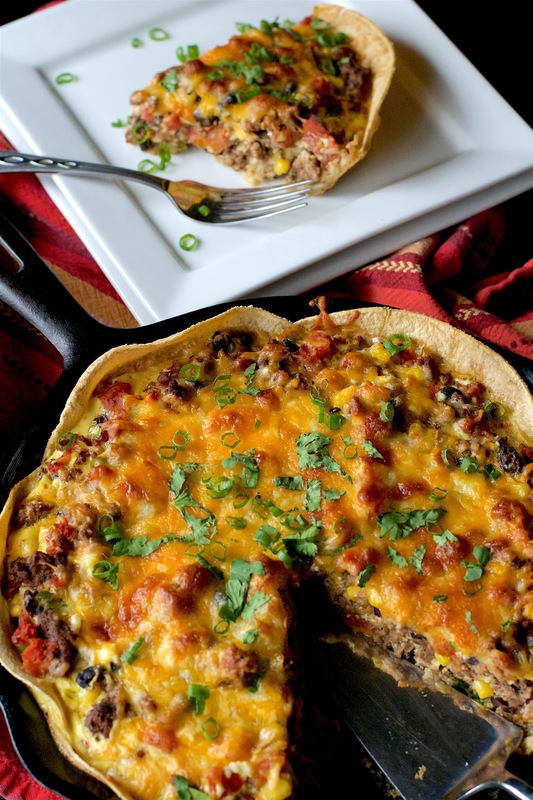 A cast iron skillet, layered with corn tortillas…..warm them a bit first so they lay in the skillet nicely. Once warmed they fall right into the curves of the skillet. A combo of ground beef, tomatoes, black beans, corn, a touch of chili powder, and green onions are placed on top of the tortillas. That’s the casseroley part. Whisk eggs, a bit of water, and some Kraft Spicy Jalapeño Cream Cheese, (this stuff is the bomb!) with a bit of cumin and pour over the ground beef mixture…….that the quichey part. Top with cheese, then into the oven for about half an hour. Slice into wedges and serve. Place beef in a skillet and cook until browned, about 10 minutes; drain fat.